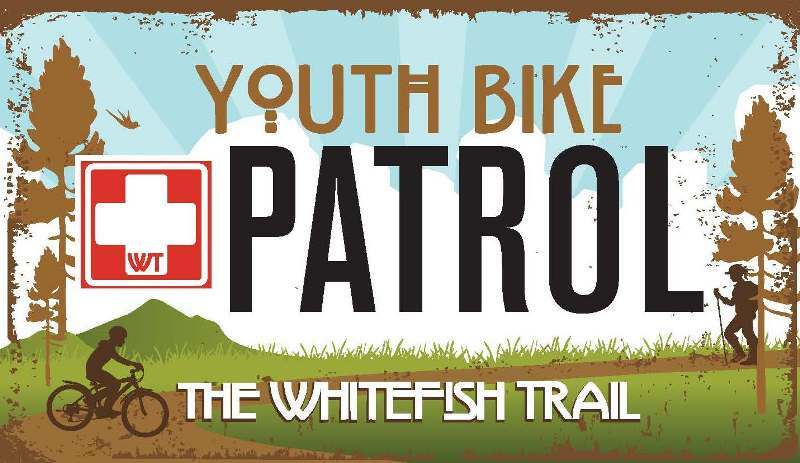 Whitefish Legacy Partners in unveiling a new Whitefish Trail Youth Bike Patrol program aimed at getting youth engaged as volunteers on the Whitefish Trail. The goal of the Whitefish Trail Bile Patrol is to offer a regular presence on the trail system and to provide visitor assistance. New for 2016, the WT Youth Bike Patrol will provide an avenue for youth in the community to be mentored by experienced members of WT Patrol. Parents are also encouraged to volunteer with their child to form a patrol team. Youth Bike Patrol must be 14+ years to mentor with a current member of the WT Bike Patrol or 12+ year to patrol with a parent. Members of Youth Bike Patrol are encouraged to perform two patrol rides per month during the summer. All members of Youth Bike Patrol will be trained in bike maintenance, CPR, and first-aid. Training starts early May with regular patrols until September. 2016 Annual training will be held on May 3rd at 6:00 PM at the Legacy Partners office, 525 Railway, suite 206, downtown Whitefish.